Now, there is no reason to delay your routine preventive appointments because you have comprehensive coverage through Delta Dental. As a leader for affordable dental insurance, you have access to a broad network of professionals to keep your teeth and gums healthy. At Aesthetic Dentistry of Wickford, we are proud to be an in-network Delta Dental dentist in Kingstown. We provide the services you need to maintain your oral health to reduce your overall dental expenses. We work with your insurance to reduce the amount you need to pay out-of-pocket to keep your healthy smile affordable. 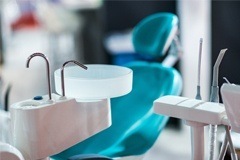 Dental insurance is designed with prevention in mind. Semi-annual appointments allow us to monitor your oral health to reduce your risk of costly treatments down the road. In fact, every $1 spent on preventive dentistry can save you $8 to $50 on restorative and emergency services. 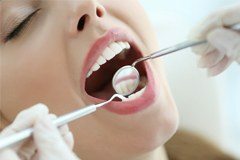 Although it is recommended you visit your dentist twice a year for a cleaning and checkup, one-third of adults delay their appointments because they often fear a large bill, but you have nothing to worry about because you have Delta Dental. With yearly maximums and limits strictly enforced, we maximize the value of your policy to reduce the amount you need to pay, even if that means splitting your treatments across calendar years. To keep your treatments affordable, Delta Dental recommends you visit an in-network dentist, like our location. 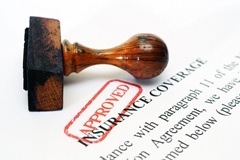 We have pre-negotiated rates with the insurance carrier to reduce the amount you need to pay. Although it is often best to see an in-network dentist, you still have the freedom to visit one who is not. If you are outside of your coverage, we still work with Delta Dental to lower the amount you need to pay. We understand dental insurance can be confusing. We do not want to see you waste your benefits because you do not understand how to use them. Our office administrator, Nicole, is here to help you. She joined our team in 2012 but has more than 12 years of experience in the dental field. Nicole strives to help our patients enjoy a comfortable and stress-free experience while in our office. She works on your behalf with Delta Dental to maximize the value of your policy. She files the necessary claims and paperwork, so you have one less thing to worry about. Nicole will explain how your benefits are being used and your responsible portions of treatment. She discusses any balances due and your payment options. Do not let your benefits go to waste. You can get the healthy smile you deserve for affordable rates. Contact our office today to schedule your appointment.